So now you have your Concealed Carry License (CCL), but let’s face it your CCL training was mostly law and had very little to do with the proper use of your defensive firearm. That’s why Alpha Koncepts is offering Defensive Pistol Training classes in the Chicago area. Learn how to save your life, or the life of those you love, with your defensive pistol. Do you qualify? If so, check the calendar and sign up today! Rapid target identification & acquisition. Learning the difference between cover and concealment. Learning to utilize cover for your protection. One handed and off hand shooting, reloading, and malfunction techniques. Either multiple 3 hour sessions, called phases, with each phase building off the skills of the previous class. Students may take phases at their convenience and will be issued a certificate of completion upon completion of the final Defensive Pistol training session. This training technique ensures students are not overwhelmed with one long training session, allows students time to dry fire practice techniques learned at their home in their own free time, and allows the investment of time and money to be more suitable to each students training budget. Accelerated class is an 8 hour session and includes all 3 phases in one day. Certificates of completion are issued at the end of the day. Check the calendar and sign up today! 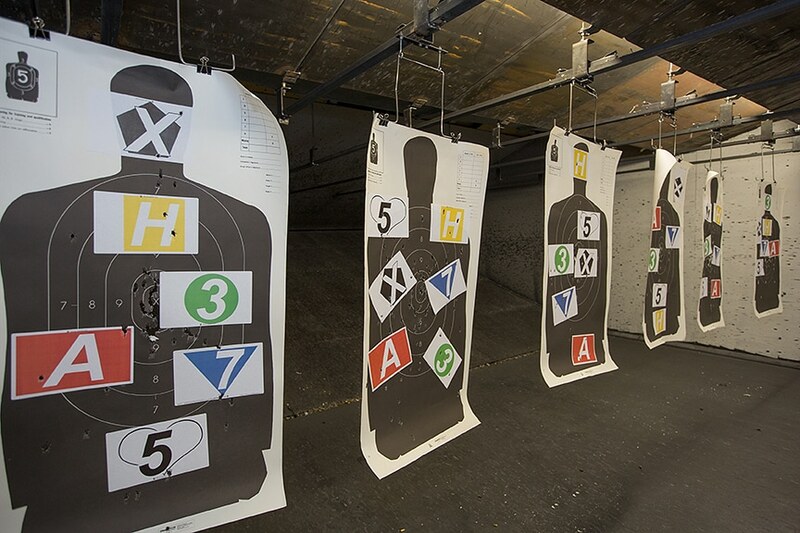 The purpose of the Defensive Pistol training classes is to push you outside of your comfort zone, and to experience new shooting techniques in a safe and controlled environment; rather than learning your limitations during a high stress critical event, such as a gunfight. We will have full use of the entire range and will not be shooting from the stalls. Therefore this is an intermediate level class. Students must already possess the basic skills and equipment outlined below. Proper understanding of their pistol basics including stance, grip, sight picture, sight alignment, trigger control. Basic understanding of holster draw techniques. Have one of the following to participate: Illinois Concealed Carry training, NRA Personal Protection Course, US Military, Law Enforcement Training, or other firearms training experience that included firearm basics plus holster draw techniques. Possess either an Illinois Concealed Carry License or Firearm Owner Identification (required for Illinois residents only). Defensive Pistol. Please no target or competition pistols. If you’re afraid to break it, don’t bring it. Not less than 200 rounds of ammunition per phase (Some classes may be 1, 2 or 3 phases). Not less than 3 additional Magazines or 4 Speed Loaders. A magazine pouch is highly recommended. A shooting mat or large towel is recommended for phase 3 when shooting from prone/laying positions. 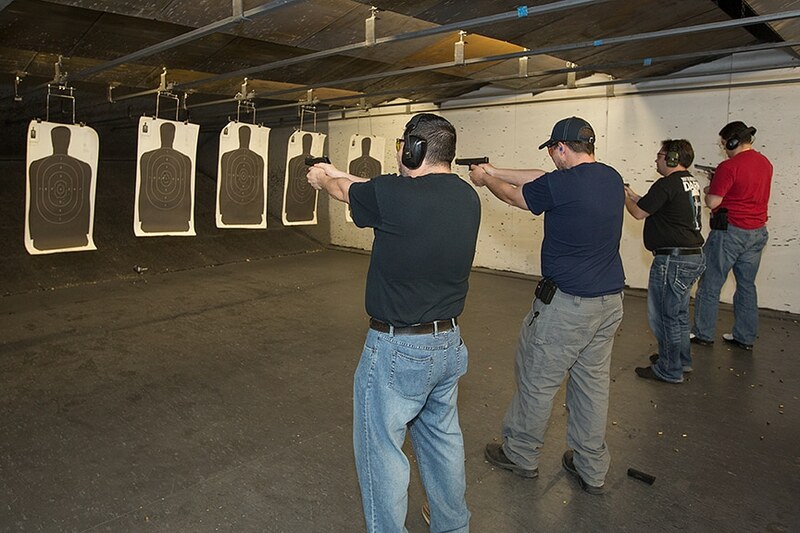 Check our Calendar for Dates and Times of the Defensive Pistol training course | Sign Up Now! *Please Note this Defense Pistol Course is not an NRA certified course.